Kylie Jenner definitely doesn't take herself too seriously! | HELLO! Not satisfied with being one of the most followed teens on social media, it looks like Kylie Jenner has decided she's her own biggest fan. She took to Instagram this week to show off a new T-shirt, which was emblazoned with a familiar face. Very familiar, in fact: a close up of her own face, eyes closed and pout full. Of course the 18-year-old totally rocked the look, and topped off her dreamy mermaid plait with a black beanie. Her dedicated followers loved Kylie's look and were quick to praise the youngest Kardashian/Jenner on her ability to poke fun at herself. 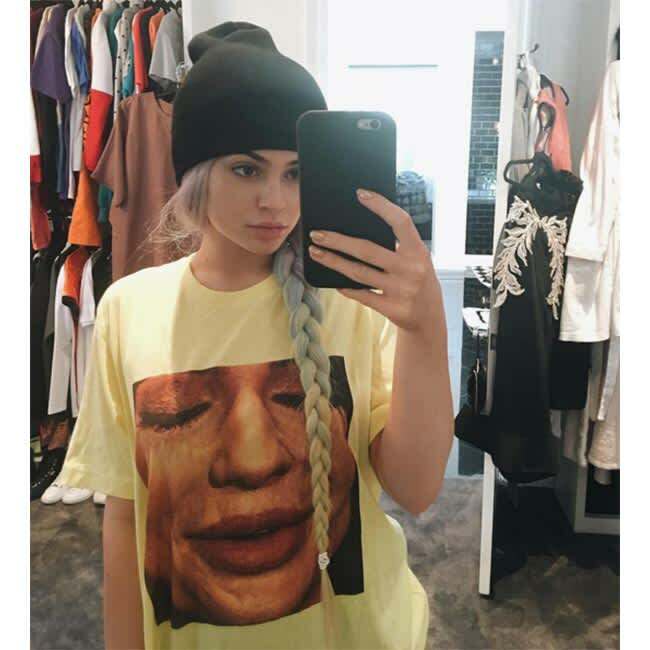 Kylie Jenner showed off her newest T-shirt - emblazoned with her own face! Kylie has developed a bit of a habit for showing off loved ones on her T-shirts. 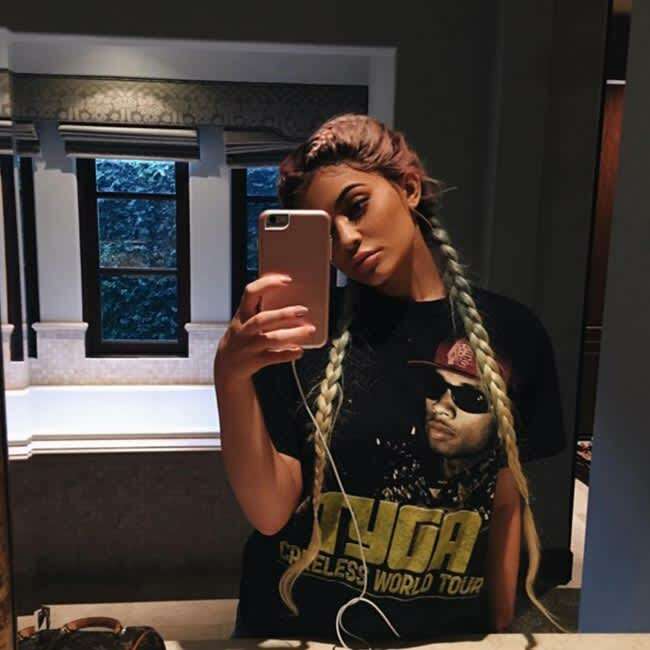 At Coachella last weekend she proved she's boyfriend Tyga's biggest fan girl by wearing one of his Careless World Tour shirts and, of course, documented the statement with a selfie. Her public support follows reports she's planning on upstaging brother Rob Kardashian's wedding to Blac Chyna – 25-year-old Tyga's ex-girlfriend, with who he shares three-year-old son King Cairo. Rob and Blac – real name Angela White – went public with their engagement last month, but sources claim Kylie's convinced the whole thing is a plan to get revenge on Tyga. An insider told Star: "Blac has tormented Kylie for the past two years. She's told Kylie she'll stop at nothing to get back at Tyga and now that she's wormed her way into the Kardashian family, Kylie believes her." But the source added that Kylie is planning her own wedding, and wants her and Tyga's nuptials to overshadow Rob and Blac's. They said: "Kylie's on a one-woman mission to ruin their wedding and is determined to make hers the most talked-about."